Check the inside of the temple arm and there should be some numbers there. These numbers are your frame measurements. All our frames have a few numbers printed on the inside of the temple arm. These refer to the model number, lens width, bridge width, and temple arm length of your frames. We recommend comparing the measurements of your current glasses to the frame measurements on our website; this will give you an idea for how a pair will fit you. What do the numbers printed on my frame mean? For example: LTO6304 50¨15-135, the LTO6304 printed on the inside of a temple arm (the part that goes behind your ear) on a frame is the manufacturer's model or stock number. But farther down the temple arm, these are the important numbers that refer to the dimensions of a frame. These numbers are the measurement, in millimeters, of the lens width, bridge, and temple arm length. That's a decision that can only be made by you, but we can help! If you want a super light frame, go with one that's 15 grams or lower. Titanium frames are generally very light. 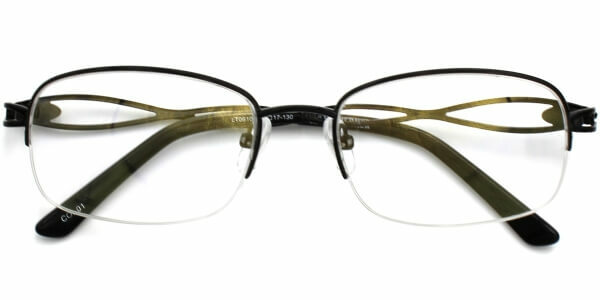 If you want a durable frame, go with stainless steel or memory titanium. If you are allergic to metals, stay away from metal alloy and memory titanium frames, both of which use nickel, an allergen. Stick with frames made of hypoallergenic materials, such as stainless steel or titanium. 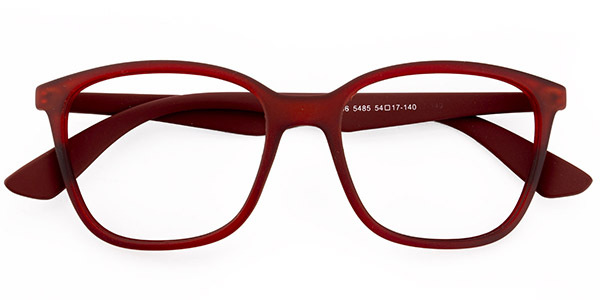 If you like plastic frames, choose an acetate frame, because acetate is cellulose-based, and therefore hypoallergenic. What frame style is best for my face shape? Basically, go with a frame style that contrasts with your face shape, and that is scaled to fit your face. If you have a square face, go with an oval or round frame. 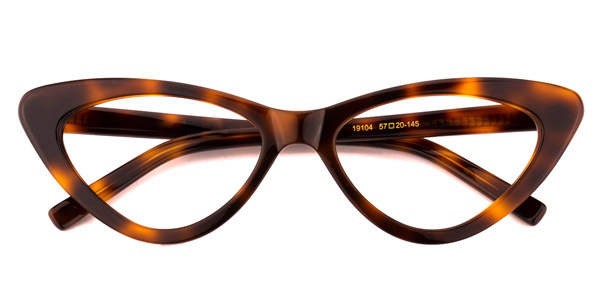 If you have an oval or round face, go with a rectangular frame. If you have a heart-shaped face, go with a narrow, round, bottom-heavy frame. What is full-rim, half-rim, or rimless? Full-rim glasses, especially in the nerd-chic look, are very popular. They are generally more durable than half-rim or rimless frames. Half-rim frames are great for people with slim faces. The show more of your face than full-rim frames, and are more durable that rimless glasses. Rimless glasses are great for people who will treat their glasses delicately, and who want their glasses to be practically invisible on their face. Contact us within the first 30 days after you've received the glasses. If the frame is defective, we can send you a new one. If you picked a frame that's too big or too small, you can send the glasses back for a partial refund or store credit to reorder a new pair of glasses in the correct size, and we'll explain how to make sure the next frame you get will fit you perfectly. How do I get my frames adjusted? Most optical shops will make adjustment for free or a small fee. If you cannot find a local shop, please feel free to contact us via customerservice@leoptique.com and we’ll take care of it! Our frame comes only in the dimensions listed. Most of our frames come in more than one color. If it does, you will see little horizontal color blocks under the picture of the frame. Click on the color blocks to the frame in that color. Please be kindly reminded that the actual color may differ from the displayed due to the color resolution of different screens. Yes! If you get a frame without lenses, you are still eligible to any promotions active at that time. Is it possible to order glasses with non-prescription lenses? Yes. When a frame is out of stock, you will see an "out of stock" message below the frame. Enter your email address in the space provided, and we'll let you know when the item becomes available. Can you help me pick out a frame? Yes! We offer photochromic lenses. First select your eyeglasses frames and then select LIGHT ADJUSTING after you enter your prescription during lens selection.